WE are on the hunt for Lothian buses’ first People’s Champion. 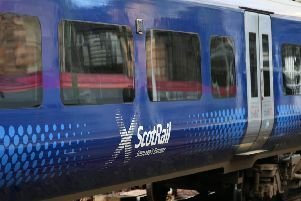 Lothian has been repeatedly recognised as the best in Britain for the first-class service it provides. Here's how to nominate your Lothian buses champion. The firm’s drivers have inspired us this year with their outstanding good deeds. Some of their exploits have turned them into mini-internet stars after stories over their Random Acts of Kindness became viral hits online. One driver stopped his Number 3 service to hop out and assist a pensioner struggling with his shoelace at the side of the road. Another on the 44 route jumped out at a stop to assist an elderly resident across the street, while another went to the rescue of a hedgehog stranded in the road. These simple but fantastic acts have caught the public imagination. And they have inspired us to team up with Lothian to honour the most thoughtful members of the buses team. To do that, we need your help. Tell us about the ways in which your local driver brightens your day. It might be something as simple as his or her never-failing smile that always makes you feel a little better. Just tell us who you think deserves a big pat on the back and why. If you don’t know their name, just give us as much information as you can about where and when you came across them and we’ll try to track them down. Euan McGrory, deputy editor of the Edinburgh Evening News, said: “The good deeds of Lothian staff this year have really won our hearts. They have been an inspiration. “They provide a fantastic service to the city around the clock, every day of the year, but sometime it is the way that they do it that makes all the difference. A little thought and care can go a long, long way. To nominate your People’s Champion, just contact us with the name – or alternatively as much detail as you can about where and when you saw the individual concerned – and details of what they did that made your day. You can vote for staff working for Lothian, Skylink, Airlink, Nightbus, Lothian Country, Edinburgh Bus Tours and East Coast Buses – all of which are part of the Lothian family. You can nominate by e-mailing us at newsen@edinburghnews.com and putting Lothian People’s Champion in the subject box, writing to us at Lothian People’s Champion, Edinburgh Evening News, Orchard Brae House, 30 Queensferry Road, Edinburgh, EH4 2HS, or by messaging us on Facebook or Twitter. Let us know by Sunday, November 5, at the latest. We will share the best of your stories and ask you to vote for your favourite with the People’s Champion being honoured later in the year at a special awards night.